No beer. At least, no beer that a hard-core, life-long beer snob such as me would even think about drinking. 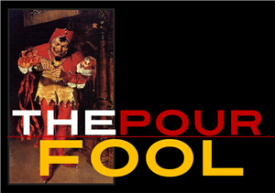 Back in the early 90s, if you had the misfortune to be a person like me – admitted freakazoid perv that I’ve always been – who wanted a beer that was not made by Anheuser Busch, Miller, Coors, or Pabst, you went in search of imports; Euro-brews that were also about as rare as hen’s teeth and usually restricted to maybe five or six breweries: Belhaven, Samuel Smith, Beck’s, Newcastle, Amstel, or Heineken. Lindeman’s was also around, as was Ayinger “Celebrator”, my own beer of choice, but I had to drive to Nashville to get that. And I did. At least monthly. Out West, where I moved within the next year, all this was radically different. I had read names like Rogue and Deschutes and Bert Grant’s and all those other microbreweries that were popping up like…well, like that stubborn kudzu I wrestled with daily, but I never saw any of them. Life changed, then, and today, I write about beer and have sold it for 24 years. But I often think of how wonderful it would have been to sit on that stoop in Knoxville and sip a great craft beer and dream. And, now…I could do all that with genuine bliss. The Blackberry Farm/ all photos property of beall + thomas photography, except as noted. 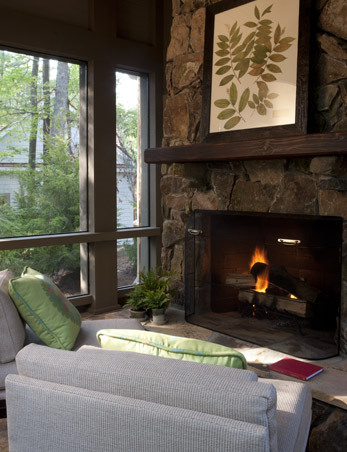 Just down the road from Knoxville is one of the great resorts in the entire country; a place called The Blackberry Farm, located in the tiny hamlet of Walland, Tennessee. The Blackberry Farm is a four-star inn and working farm and horse-riding facility and a place where “Eat Local” takes on a whole new meaning. The folks at BF grow the vast majority of all the food stuffs served in one of the property’s three dining rooms, The Main House, The Barn, and The Dogwood. The Blackberry Farm wine list is a consistent Wine Spectator Grand Award recipient and includes an encyclopedic collection of wines – predictably heavy on the French, of course – but a vast and well-chosen California selection, as well. I’d be a bit disappointed if I were dining there because their Washington list is a bare smattering and composed mainly of critically acclaimed but obvious names, clearly not the product of the same intense study and devotion that’s lavished on France and Cali…but that’s pretty much the norm, back East, and I can’t deduct cred from BF for a lack which is near-universal anywhere east of maybe Denver. But one thing that sets Blackberry Farm apart is the addition, about four years ago, of an on-site brewery. And in keeping with the Farm’s traditions of doing things in a true major-league way, they brought in Roy Milner, a career veteran of Sam Adams/Boston Brewing Company, to run the operation and Daniel Heisler, formerly of New Holland Brewing, as brewmaster. Using a combination of purchased and home-grown ingredients, Milner and Heisler have evolved a brewery in which everyone is very much on the same page and encouraged not so much think outside the box as toss it into the recycling bin. The same aesthetic that rules the Blackberry Farm kitchen and inn – an artful marriage of rustic Tennessee and sophisticated creativity – applies in the beers, which feature a bold and wholly successful set of ideas such as their Native Collection; ales brewed with a Belgian attitude applied to Tennessee ingredients. Buckwheat Strawberry, Blackberry Rye, and Roasted Cherry Stout are just a few of the ideas spawned just by walking the hills around the Farm. 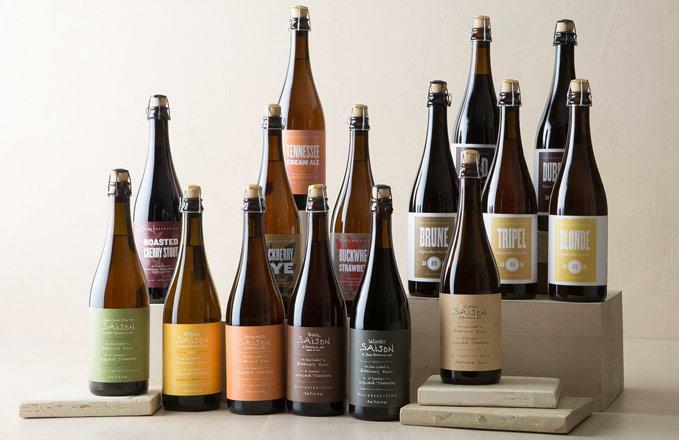 Their Abbey Series is a strong Blonde, a Brune, a Dubbel, a Tripel, and a Quad, and the Saison Collection features a Noble Cuvee Dry Hopped edition, along with Spring, Summer, Fall, and Winter seasonals. I received the Blonde, the Summer Saison, and the Brune and found the Classic and Winter Saisons here in Seattle. The comprehensive overview of these five is a style of elegant, prettily rustic, immensely flavorful, and superbly crafted ales, with no let-down in quality or approachability from bottle to bottle. I’ve read, in preparing to write this post, some wonderfully flattering remarks about these ales, and a very small set of complaints, usually aimed at a perceived lack of intensity…which is correct, if you’re one of those beer geeky types who equates quality with size. We’re sadly in the midst of an entire generation of beer fans whose palates have been shaped by an unbroken escalation of Hops Mania, an aesthetic in which subtlety and sophistication are considered flaws. The Blackberry Farm beers all had in common a dryness, clarity of flavors (not visual clarity, as most of these are unfiltered), and a soft, round profile that is created by the obvious skill of Milner and Heisler and the practice of refermenting in bottle for a creamy mousse and far more integrated flavors. There is absolutely nothing out of whack in these ales, something I’ve only rarely been able to say about everything I taste from any brewery. There is a delightful femininity and delicacy about them which is an attribute of many of my favorite Belgian/Flanders ales but is sadly lacking in most of the Americanized Belgian-style beers I taste. I also read comments that said that the tasters found these beers, “Unlike any Saisons I’ve ever tried”, with which I could not agree more. Yes, they are considerably less sweet, dryer on the finish, and show their constituent hops far better than most American Saisons. The textures are silky, almost pillowy, with their creamy, deep-pile bubbles. And the things are as edgeless and seamless as any ales you will taste this year. The Summer Saison, their GABF 2015 Silver Medal Winner, was, in effect, a Belgian IPA, with a big, happy, smoothly bitter finish and off-the-charts crispness. Their Classic Saison won a Gold at World Beer Cup, 2016, and was somewhat the same idea but with more yeast-driven tropical fruit, a pronounced lemon peel character, a dash of funk, and hop spice that is vivid and satisfying. There is a lurking intimation of sweetness in the Classic which stays tantalizingly just out of reach and compels each successive sip. The Blonde is a big, rich, happy ale that shows some caramel malts and mixed citrus and a sugar cookie grain flavor that’s wildly appealing, all wrapped up with a clean but lingering finish. And my own favorites may have been the delightfully oddball Brune and a Winter Saison that flirted with Strong Dark territory but was pulled back by a wonderful lightness of texture and the stunning subtlety of its broad range of flavors. Pepper, Asian spices, plums, currants, whole-grain toast, and hints of ginger and jasmine are all present but whispered, rather than shouted. The Brune was maybe the lightest in color of any Brune I’ve tasted in five years but packed in the hallmark flavors, leading with mild graham cracker, red currants, red plums, teaberry, and roasted grains, again, all distinct but all painted with a very light brush. I found these ales flat-damned addictive; a total and delightful respite from the virtual assault on the senses of drinking that endless succession of British-tradition ales that make up 90% of all beers made at the nation’s craft breweries. Blackberry Farm makes ONE ale that’s frankly in the Brit mold, The Blackberry Farm Cream Ale…and I’m betting that it’s as unique and distinctive as all five of these and just as maddeningly drinkable. My God, Roy! Where were you and Daniel when I lived in Knoxville? 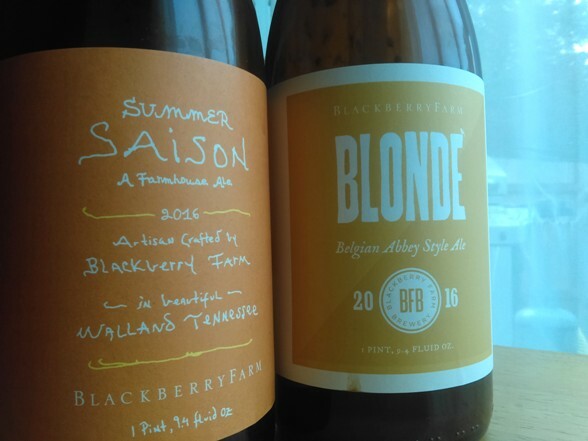 The mere thought of a lambent Tennessee sunset, in a rocking chair, out on my friends’ patio, on that ridge above downtown K’ville, with one of these ales in my glass, makes me almost weep with Missed Opportunity. I know, even as I write this, that a lot of younger, IPA-addicted beer fans will read it and think, “Huh. Not for me.” But I would urge them to try these ales, anyway. This is the direction American craft beer is heading: skill and creativity and balance and drinkability. In these bottles are the exact evocation of what The Blackberry Farm is all about: the true elegance, expertise, devotion to quality, and demand for The Best. They are also very much a true evocation of East Tennessee, one of the best parts of God’s creation, and a place where grace and making things by hand and harmonizing with the Earth and down-home appeal are still valued, practiced, and appreciated.